Every week new discoveries about the brain make the news, often promising parents the latest "right" way to nurture their kids' developing brains and behavior. And every day there's a new technology that demands your child's attention, a new game or toy that purports to make your kid smarter, and a new snack promising to be healthy as well as tasty. How's a busy parent to make heads or tails of all these claims? You turn to Dr. David Walsh, an expert at translating the headline-making, cutting-edge findings into practical suggestions for parenting today. In his previous bestseller, Why Do They Act That Way?, Walsh showed how to manage the difficult teenage years by understanding how the adolescent brain develops. Now he's written a complete guide to parenting from birth through the teen years, with recommendations that will help maximize any child's potential. Smart Parenting, Smarter Kids doesn't just describe new research findings or explain interesting brain facts. It equips parents with usable information across a range of topics, like exercise, nutrition, play, sleep, stress, self-discipline, emotional intelligence, and connection. Some discoveries in neuroscience confirm age-old parental wisdom while others may prompt you to make immediate changes. Still other brain discoveries help explain behaviors that have puzzled parents forever, like why friendly, easygoing kids can become withdrawn and sullen dragons overnight when they enter adolescence, or why girls and boys tend to have such different classroom experiences. Filled with helpful quizzes and checklists for easy reference, Smart Parenting, Smarter Kids gives specific advice about how to make the best daycare, preschool, and schooling decisions for your kids; for example, how to deal with stressful events as a family, and how to manage your child's internet and media use. And all these findings across different fields of research work together in reaching the same goal: When children are guided to eat, sleep, play, exercise, learn, and connect with others in healthy ways, their minds blossom and they are able to reach their full potential--academically, socially, physically, and emotionally. 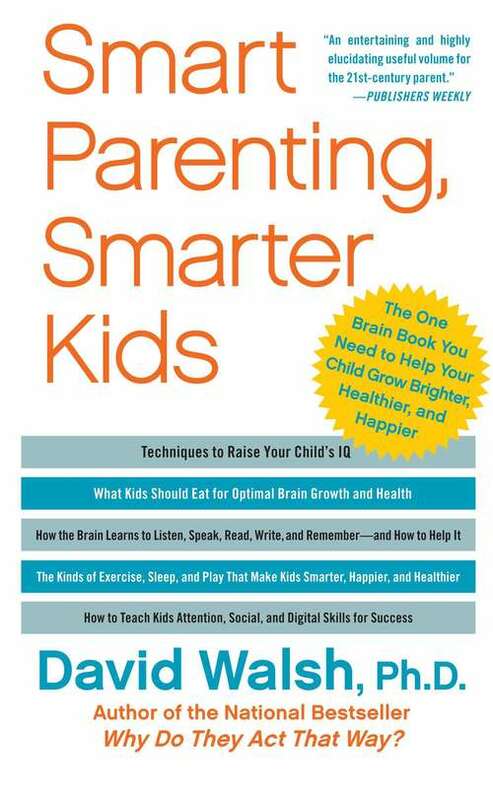 These real-life applications in Dr. Walsh's new book put science into practice with a personal plan that explains how (and why) you can parent with the brain in mind.